Channel 4 in the U.K. will offer 400 hours of TV coverage of the 2012 Paralympics while NBC in the U.S. will only offer five and a half hours of taped action. 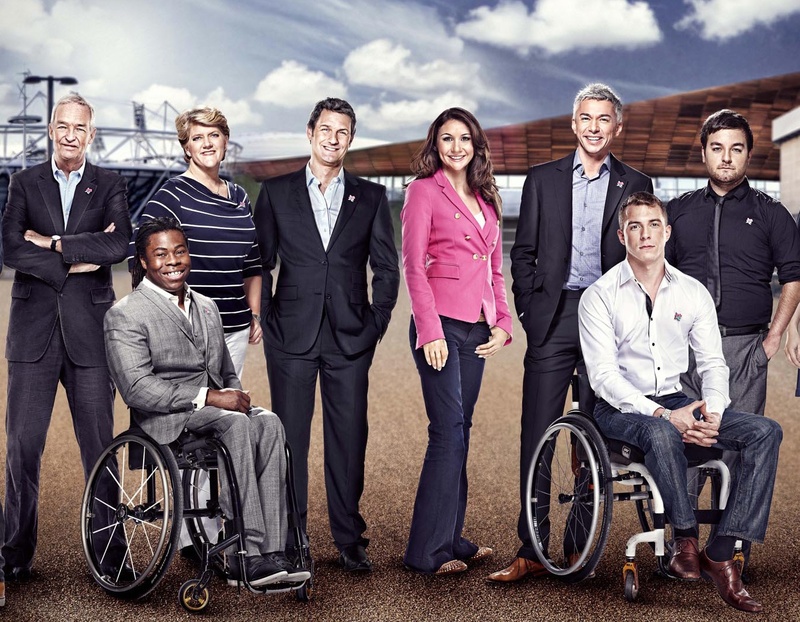 Channel 4's hosts (above) include a number of fresh faces from different disability backgrounds, including swimming star Rachael Latham. Later this month, the Paralympics will open at the same London venues as the Olympic Games, and for the first time, will get full-day and prime-time coverage in the U.K. In 2008, Great Britain and Northern Ireland came in second in the Paralympics medals table with 102, including 42 gold, compared to 47 medals in the Olympics. But the success in the Paralympics was not matched by media coverage. While the BBC, which held the rights to both games in 2008, aired several hours daily of Olympic action on the main networks, BBC1 or BBC2, their Paralympic broadcasting was limited to highlight shows during the week on BBC2, and live coverage on the weekend. That imbalance between the major sporting events is about to change in the U.K. When the Paralympics open on August 29 in London, Channel 4 will carry the broadcasting torch, marking the first time the contract has been split for the two linked Games. Channel 4 is stripping back its entire schedule, leaving just its evening news and half-hour evening soap opera. 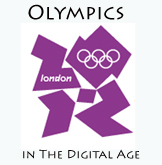 The rest will offer 400 hours of estimated broadcasting of the Paralympics. They have been building up profiles of British Paralympic athletes, challenging disability transport issues in London ahead of the games, offering free phone and tablet apps for following the event and plugging into various social media platforms. Other networks around the world have signed up to broadcast the games, including China’s largest national broadcaster, CCTV, Brazil’s Globo TV, and ABC in Australia. In April, the London Organizing Committee of the Olympic Games and Paralympic Games (LOCOG) said the 2012 Paralympics would be the most watched ever. By contrast, NBC is not broadcasting any Paralympic events to U.S. audiences except for a highlights show on September 16 from 2 p.m. to 3.30 p.m. ET. NBC Sports Network is showing the Paralympics for the first time. But the coverage is limited to four, hour-long programs on September 4, 5, 6 and 11, according to Adam Freifeld, vice president of communications for NBC Sports Group, in an email to me. Rachael Latham competed at the Beijing Paralympics and holds the European record for the 200m butterfly, the world record for 50m butterfly and British record for the 200m backstroke. But, because of injury, she has moved into broadcasting. Channel 4 conducted a talent search for new presenters, recruiting a number of fresh faces from different disability backgrounds, including Latham. The 22-year-old from Wigan, Lancashire, was born with Erbs Palsy — paralysis of the arm — and said the increased coverage will make a difference. “It is not that prior to Channel 4 winning the broadcasting rights there was bad coverage,” she said via email, “It’s just that BBC did not show enough. Maybe the BBC thought they knew what the public wanted and served them accordingly, seeing the Paralympics as having minority appeal rather than something in which the public could have a big interest in. “In 2008 the BBC approached the Paralympics with respect, with most events available to the viewer; however, there was no substantial background or build-up to any of this. Despite the criticism of NBC’s delayed broadcasts of the Olympics, the Games so far have been a hit on both sides of the Atlantic for both NBC and the BBC, and Channel 4 will be hoping that interest will extend to the Paralympic games. 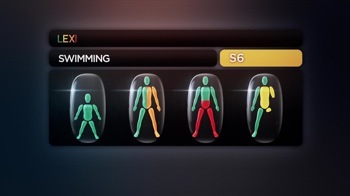 Regular features on “Meet the Superheroes” as well as other documentaries have introduced the athletes to TV audiences like never before, as well as explaining the sometimes complex classification system. Channel 4 is using a special Lexi Decoder to help viewers understand the categories at the Paralympics. The network is introducing the Lexi Decoder (LEXI) to help explain the different categories according to levels of impairments, developed in cooperation with Paralympic gold medalist Giles Lorig. Latham said the media is a vital way to spread the word about sport and inspire people to participate, not just watch the Paralympics. “Paralympic athletes train alongside the Olympic athletes in Britain and train just as hard,” she said. “So for the public to build up their respect for Paralympic sport alongside Olympic sport would mean everything to the athletes. It is not Channel 4’s job to ‘turn round the attitudes’ just more ‘create an attitude’. I don’t think the public has ever been given the chance to care about the Paralympics. At the end of the day, if you aren’t given the chance to see something and understand it, you probably won’t care, and that relates to all aspects of life. Twitter and social media in general, has formed a massive part of the Olympics so far this year, and Latham said social media will also be a huge part of the Paralympic coverage. Channel 4 has always been keen in getting Twitter and Facebook followings for presenters and reporters, but this is increasing with the Games and promotion of the athletes as well. The free tablet and smartphone apps will also allow live-streamed action. During the Games, Latham will be the main “mix zone reporter” at the pool, interviewing athletes after their races, as well other presenting duties. She had always set the goal of being in London for the Games, but the injury forced her to turn to presenting from competing. On a personal level, she said she is loving the opportunity. Channel 4 set a goal of 50 percent disabled on-screen talent during the Games and searched for new presenters to help towards the target. For the network itself, this is the biggest event in its 30 years, but they could not confirm at the time of writing whether they would bid to broadcast the Rio Paralympics in 2016. Tristan Stewart-Robertson is a Canadian freelance reporter based in Glasgow, Scotland, operating as the W5 Press Agency. The BBC does so much better then NBC.